An aspiring young talent hailing from the suburbs of Chennai, Harish Kalyan is best known for his works in Tamil films. Despite having a hard time through his early years in cinema, he constantly pushed himself and finally got recognized for his exceptional performance with the 2014 hit thriller Poriyalan. Over half a dozen of his films failed to take a sturdy opening at the box office. Harish is currently one among the contestants in Kamal Haasan hosted TV reality show ‘Bigg Boss Tamil’. To say in his own words, he ended up with the show as the wildcard contestant along with Suja Varunee and Kaajal Pasupathi to get fame and exposure. Harish was born on 29 June 1990 in Chennai, Tamil Nadu, India. He is currently 27 years old. His education details are unknown. His dating history is not available on the internet. 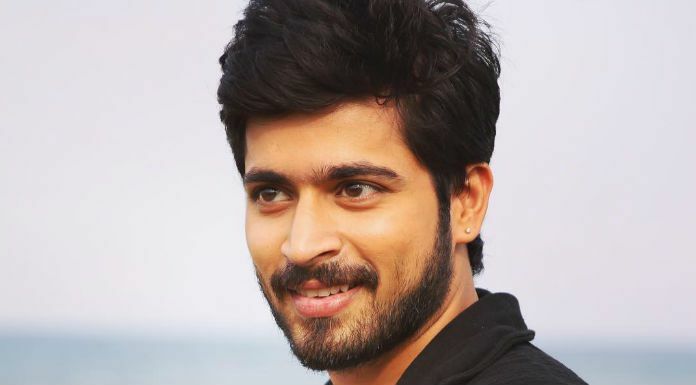 Harish Kalyan made his onscreen debut with the 2010 Tamil film Sindhu Samaveli alongside Amala Paul. He appeared as one among the 19 contestants in the first season of Bigg Boss Tamil, a reality show hosted by Kamal Haasan. He has appeared in a number of television commercials and print ads. His net worth is under review. Made his acting debut in the 2010 controversial Tamil film Sindhu Samaveli along with Amala Paul, which is also her debut film. Despite looking good with a bunch of talent, he got a break in the 2014 Tamil film Poriyaalan. Some of his notable movies include Sindhu Samaveli, Poriyaalan, and Vil Ambu. Harish is an accomplished Keyboard player and a football player. He is also learning Hindustani. Interestingly, he is also a playback singer, who has released an independent single titled ” I’m Single” in 2016. Harish is a food junkie. Harish is one of the wildcard contestants in the first season of Bigg Boss Tamil hosted by Kamal Haasan. He joined the controversial party on the 52 days of the show.